GRAFFITI - Tags on Public Property can be abated by the city contracted agency. TEP asks that we report tags on their utilities. Tags on PRIVATE PROPERTY: off limits to everyone - except the person residing at that address, or the owner/property manager...same goes for businesses. POTHOLES, SIGNS - HOW TO REPORT TRANSPORTATION CONCERNS - Is there a pothole you'd like to see fixed? Is a street sign missing? Is a tree limb hanging too close over a roadway or sidewalk? 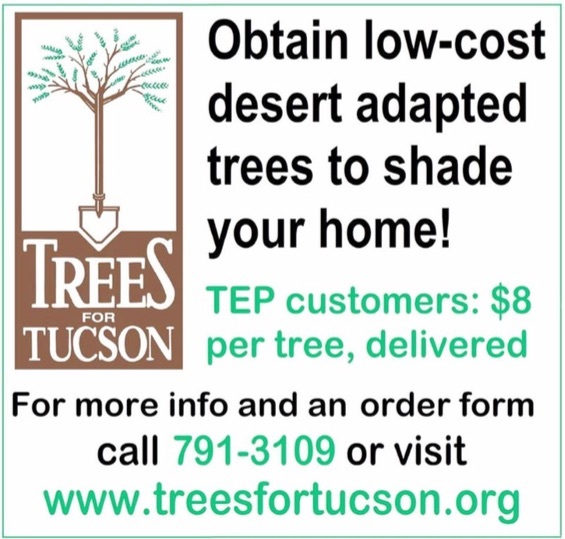 You can report these issues to the Tucson Department of Transportation (TDOT), 791-3154.